Getting frustrated because you don't know how to begin your Ucas personal statement? The first sentence can be the toughest – so we enlisted some experts to help. We spoke to admissions tutors up and down the country, and they all said the same thing: don't get stressed out trying to think of a killer opening! Even some Oxbridge admissions tutors mentioned this. They emphasised the need for candidates to engage the reader with your (relevant) perceptions or ideas, not by something flashy. See an example of an opening sentence to a personal statement, plus more templates to pick up hints from. Maybe don't begin at the start? The best statements tend to be genuine and specific from the very start. So you'll be on the right track if you explain your enthusiasm for the subject or course, your understanding of it and what you want to achieve from it. However, try to avoid the most obvious opening sentences in your personal statement, so you stand out from the first line. In our guide to what not to put in your personal statement, you'll see that quotations are top of the list of admissions tutors' pet hates. They particularly dislike it if you put a quotation in right at the start – and it's even worse if you don't actually explain why it's there. It's your statement, after all. They don't want to know what Nelson Mandela thought; they want to know what you think! A final thought. One technique that can be effective is the 'necklace approach'. This is when you make a link between your opening sentence and closing paragraph, reinforcing and adding an extra dimension at the end to what you said at the start. For example, if you started with an interesting line about what is currently motivating to study your chosen degree course, you could link back to it in your closing paragraph, perhaps with something about why you would love to study this further at uni. 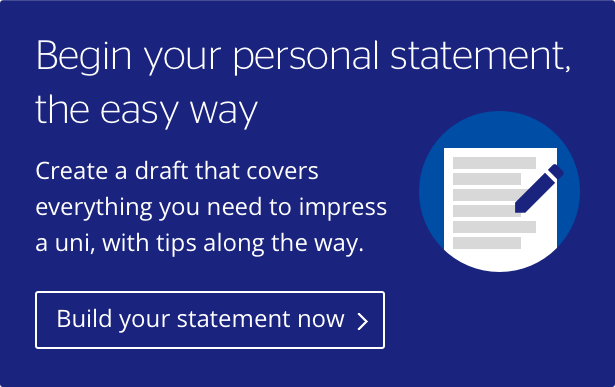 Learn how to write a single personal statement that works for multiple courses, including how to tailor it just enough and who to ask for guidance.